As a specialist in global health and development, I’ve been watching the Stop Kony/Kony 2012 phenomenon closely, trying to figure out what it means for the evolution of interventionist thinking in my field. 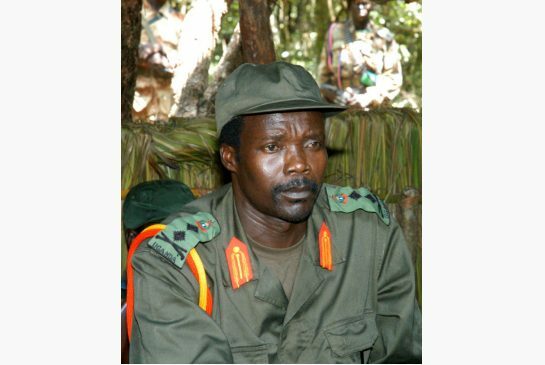 If you don’t know, “Kony 2012” is a media campaign by the U.S.-based NGOInvisible Children to bring mass awareness of the crimes of Joseph Kony, leader of Uganda’s Lord’s Resistance Army, for the stated purpose of encouraging Kony’s arrest and trial. In the world of development, this is considered a low-level intervention focused solely on awareness, targeted, it seems, primarily at the youth of the western world. It is not an advocacy campaign or a direct, physical intervention, but merely an effort to solicit an emotional response from individuals worldwide who are otherwise not directly affected by the LRA’s activities. Arguably, some issues are indeed black and white. For example, suffering is bad, joy is good. But the underlying causes of those issues are never so simplistic; and, more important, proposed solutions to any problem are never black and white. The casual naivete of Keesey is profoundly alarming, but is sadly neither rare nor surprising. The Keesey quote is a perfect example of a dangerous trope in international development of which I and other educators work hard to make students aware. It is born of the best of intentions, but at its heart is an arrogant, almost neocolonial sentiment that is fuelled more by emotion than by evidence. It is my position that those wishing to pursue international health and development interventions try to push themselves philosophically toward the “ethical paralysis” pole, without achieving the impotence and complete inaction that the term might imply. Even something as seemingly innocuous as an awareness campaign can be ethically problematic, especially when it unleashes as much outrage and energy as “Kony 2012.” The levels of incited action that the campaign has seen truly is inspiring. That some voices have called for a deeper consideration of its ethical dimensions is encouraging. But seeing those latter voices shouted down — on Twitter, YouTube comments and in other online fora — as apologists and moral relativists is, nevertheless, deeply disappointing. I see the “Kony 2012” phenomenon as a ripe moment for public education about the ethics of international health and development. It may not result in the alleviation of the suffering associated with the LRA, but it may inspire a new generation to consider the nuances and complexities of global politics and the roles of each of us in both the sustenance and potential abrogation of suffering. Raywat Deonandan is a global health specialist in the Interdisciplinary School of Health Sciences at the University of Ottawa.